All of the world’s most popular websites have one thing in common: they rank at the top of Google’s search results. In today’s ultra-competitive online marketplace, there’s nothing more important than making sure your company website is visible on popular search engines like Google. Intact Info is a Google Certified Partner, and we possess expert knowledge and incredible insight on how to increase search engine rankings. More importantly, we are also always on the lookout for new trends and changes to the Google algorithm to make sure we give our clients every advantage possible. Critical to our approach is crafting a holistic digital strategy that nurtures multiple channels to provide synergy and help you reach your goals for the long term. Increase visibility and traffic to your website. At Intact Info, our SEO experts provide high-quality content, keyword optimization, URL structuring and ongoing real-time monitoring. All of this combined with other key components in your overall digital strategy will ensure your site captures the most traffic it can and establishes an enduring online presence. First, we take a comprehensive look at your industry, your competitors and your target audience so that we have a clear understanding of what piques consumer interest in your field and which segments of the market are ripe for development. We’ll also examine your current web presence to find out its strengths and areas of opportunity, such as any barriers that are keeping consumers from accessing it. 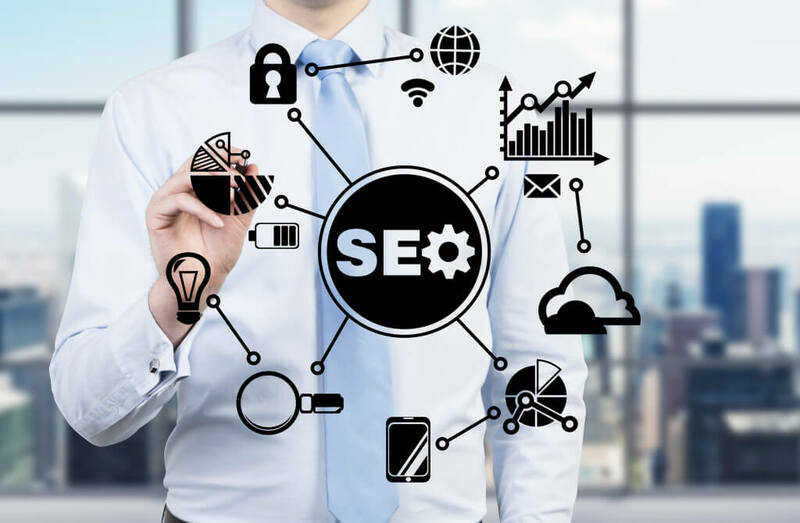 Having collected that critical data, our SEO experts can develop a holistic digital strategy that combines critical channels that will help you reach your goals, which may include content creation, reputation management, pay-per-click campaigns, or mobile-first web design. After implementing your customized and fully synergized strategy, we’ll keep a close eye out for any search engine algorithm changes, analyze them and make any necessary real-time adjustments to keep your site traffic moving at a steady pace. Can my business benefit from search engine optimization? As the majority of consumers use the Internet before engaging with a business, optimized SEO is essential to the success of any growing business. It’s a type of Internet advertising that uses prominently placed ads on search engine results pages to drive consumers to your site. What’s the difference between web crawling and indexing? Crawling is the name for the process a search engine undertakes when going through a site to index it. Does URL structuring affect my site rankings? Pages with overly long and garbled URLs may have a negative impact on your site’s rankings.